InstantAccept is an all in one solution that makes the transition period for a business easy. We provide the installation of InstantAccept while remotely accessing your computer, allowing you to sit back and relax while we run the show. If you have multiple computers that need installation please let your technician know. They will need to access each computer individually for all installations. After all installations are complete, the Instant Accept technicians walk you through all of the features and functionality of Instant Accept. You will also be provided with user guides and support information. If you need any additional follow up training or staff training let your tech know. InstantAccept has a unique integration to QuickBooks Online in a sense that it does not work like the other versions of InstantAccept. Since Quick Books Online is a web-based SAAS we are not able to embed InstantAccept in to their website. So what we have done is taken the idea of a separate POS piece that syncs automatically and in real time back to your QuickBooks. Not only is InstantAccept Online easy to work in but it also gives you the ability to have your employees work outside of your QuickBooks to keep all of your sensitive data safe. Allowing you control over the data information each employee can see. What versions of Quick Books Online are supported by InstantAccept? There is only one version of Quick Books Online out there. Of course, we support it. When using InstantAccept Financial you are able to use it in more than one way. When working within your QuickBooks Financial you are still able to take payments within your customer payment screen or through the sales receipt screen. But this is not the only way to use InstantAccept. You can also use InstantAccept outside of your QuickBooks Financial software as a desktop POS for your employees to work within. The desktop POS allows you to keep your sensitive QuickBooks data private while letting your employees access the information that is needed and updates your QuickBooks simultaneously to save you the time and hassle of re-keying. What versions of QuickBooks Financial are supported by InstantAccept? All online services and subscription based features, such as Advanced Inventory, require Internet access. Please feel free to contact us for a free live demo with one of our InstantAccept experts! The question I hear most often when talking about InstantAccept Point of Sale is “How does it work?” in this blog post I will go through how InstantAccept can work for you and your business. First, a little about InstantAccept Point of sale. InstantAccept POS is a seamlessly integrated solution that works right within your QuickBooks Point of Sale. You have the ability to take transactions from the Sales Receipt screen that your employees are already use to. Not only can you process transactions but InstantAccept allows you to process voids and refunds, save customer payment information in a PCI compliant vault, allows you to create a personalized receipt, supports all versions of customer orders, and adds additional reporting. InstantAccept supports both credit card and ACH transactions and since we are currently integrated with most major banks and processors you get the freedom to choose who you would like to run your business with. 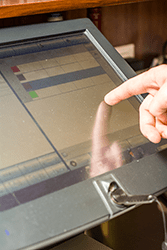 What versions of QuickBooks Point of Sale are supported by InstantAccept? QuickBooks Point of sale are v10 and v11 Pro and Basic. Contact us for a free live demo with one of our InstantAccept experts!